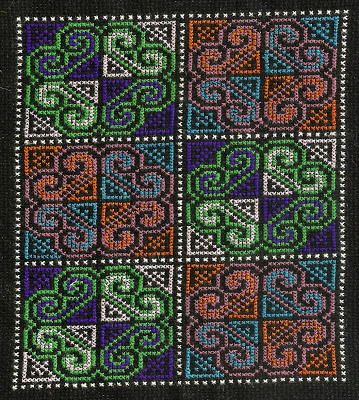 The Hmong are an ethnic people, originally from the mountainous regions of China who were relocated southward by the Chinese government (along with other tribes) in the 18th C to become one of the subgroups of Miao ethnicity. 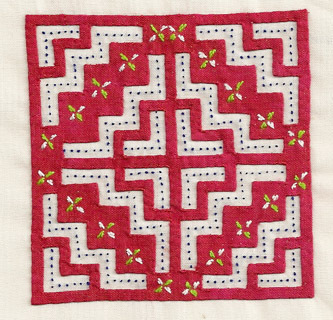 In the mid 19th C they migrated to the mountainous regions of Laos, Thailand and Viet Nam. 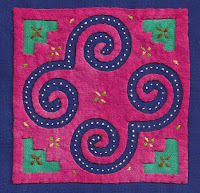 During the Viet Nam War many of those living in Laos and Viet Nam aided the American effort and when the US left the area they were forced to flee to refugee camps in Thailand. 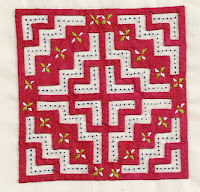 Eventually, many emigrated to the US. 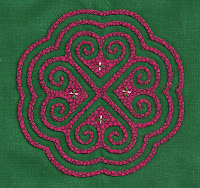 The Hmong have brought with them their beautiful needlework called Pa ndau (pronounced pond-ouw) meaning “flower cloth”. 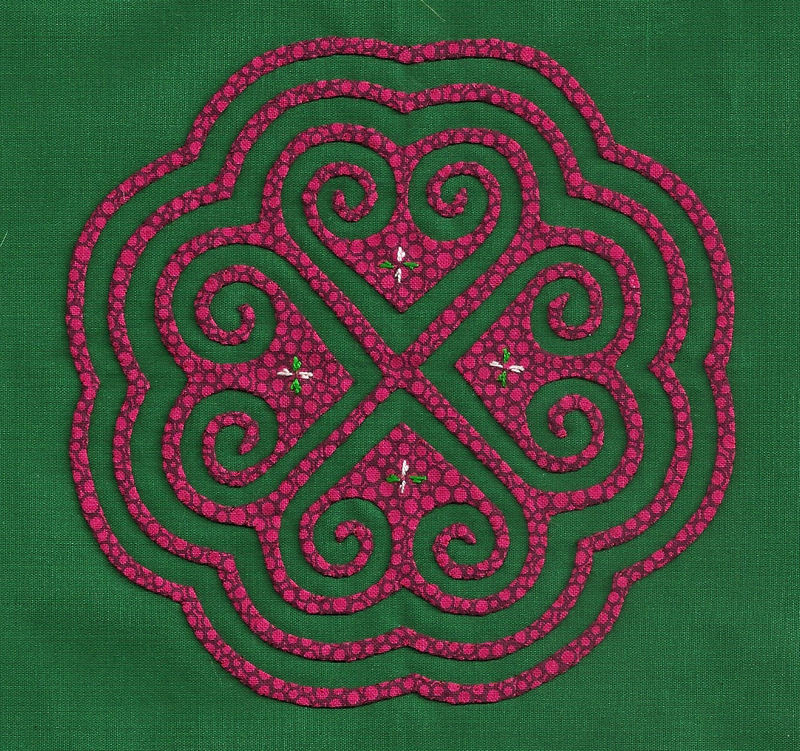 Pa ndau includes crewelwork, cross-stitch, embroidery, needlepoint and reverse appliqué. 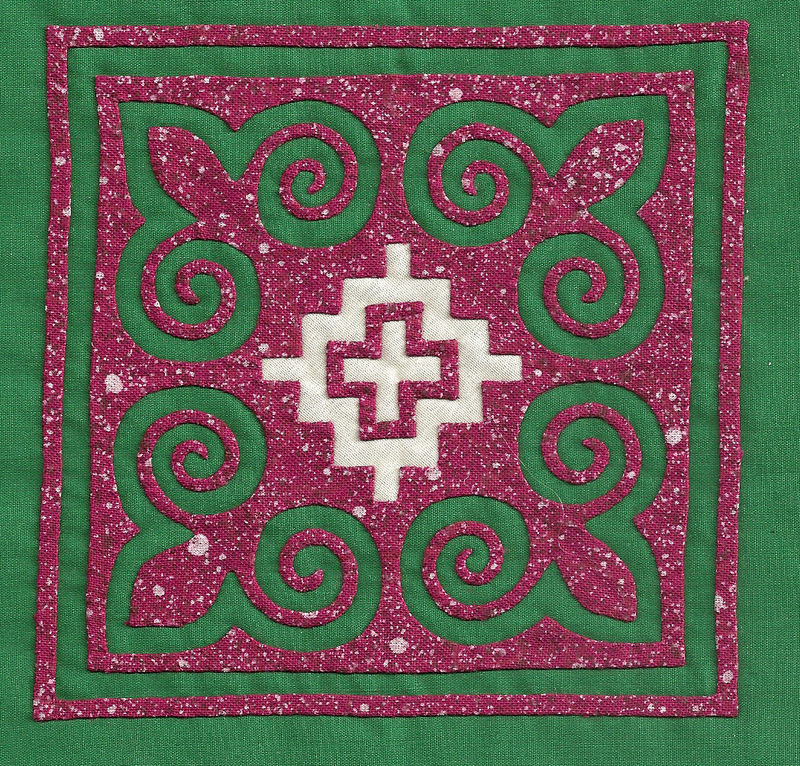 The most noteworthy is reverse appliqué. 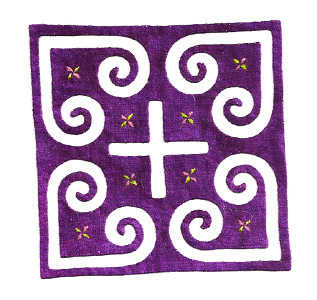 A few months ago, I wrote a blog about the San Blas Kuna Indians of Panama and their tradition of mola-making (also using reverse appliqué). 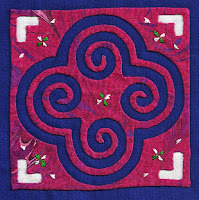 You cannot mistake one tradition for the other. 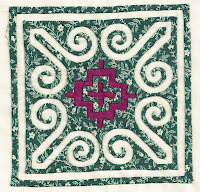 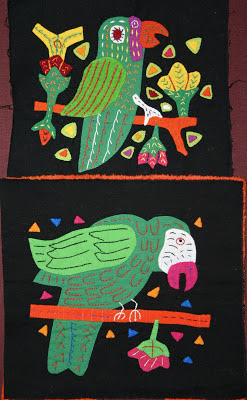 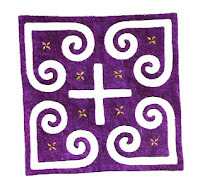 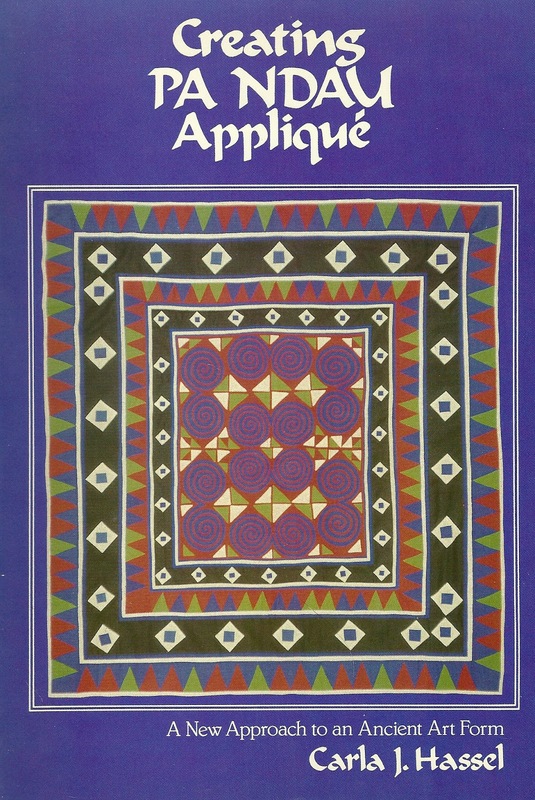 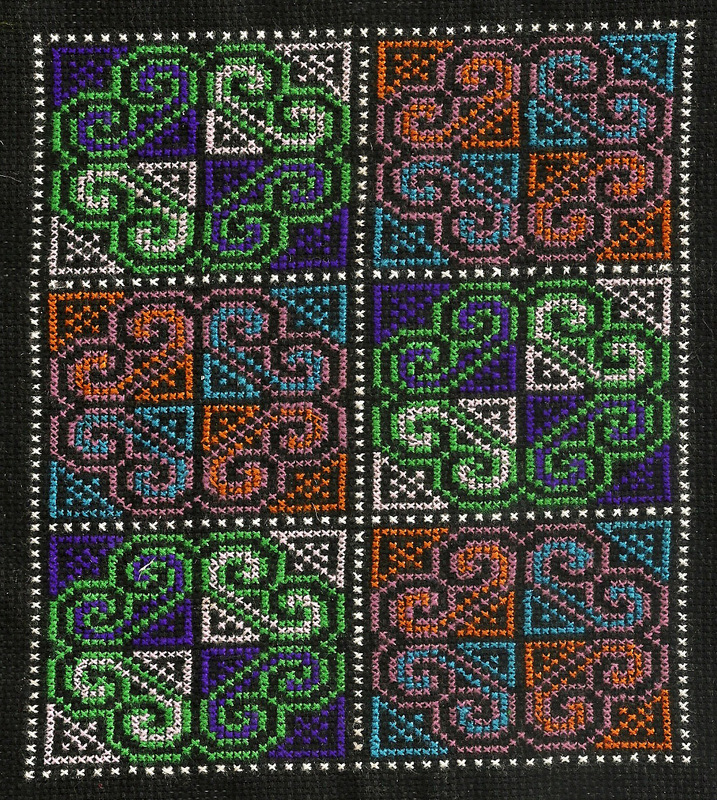 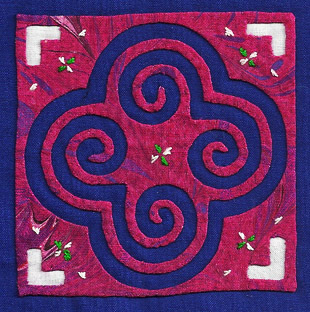 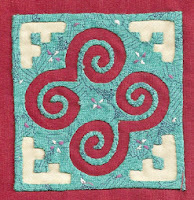 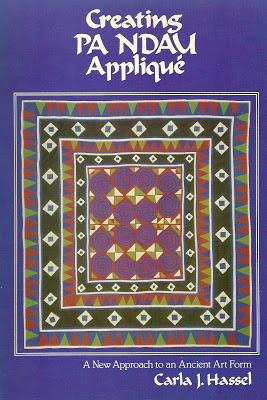 Mola makers use mainly pictorial motifs while Hmong stitchers use geometric designs. 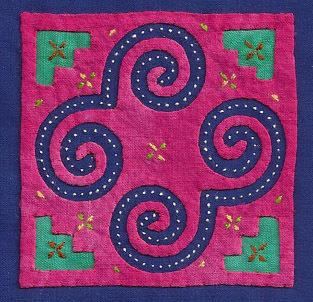 To obtain the amazing symmetry of their geometrics, the Hmong precut the multifolded design before assembling the layers, while Molas are layered first and then the design is cut. Molas are rarely symmetrical due to their pictorial nature. 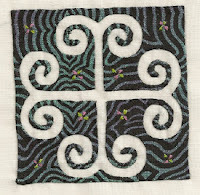 The stitches in Pa ndau appliqué are nearly invisible. 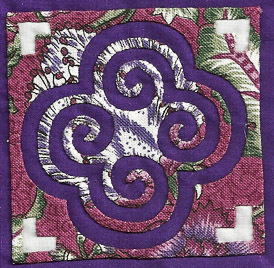 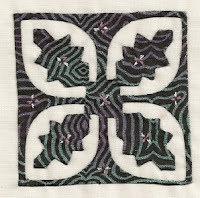 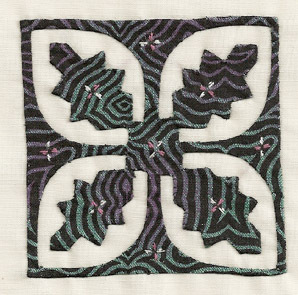 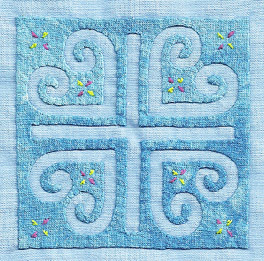 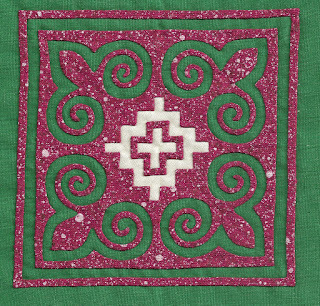 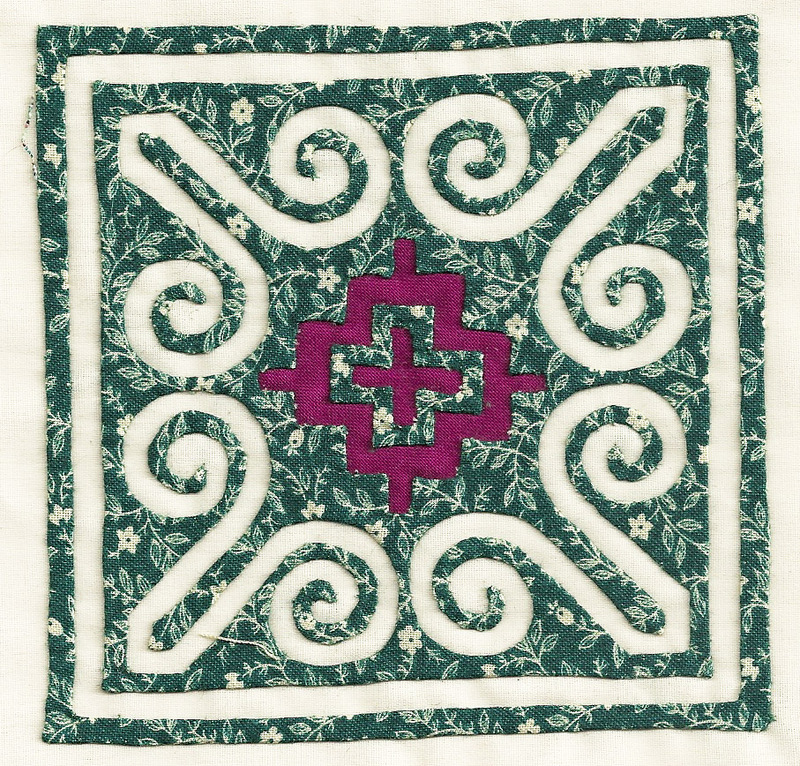 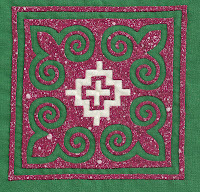 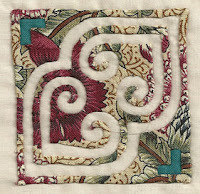 After the reverse appliqué is complete, embellishment may be added by extremely fine embroidery or the addition of further reverse appliqué or simple surface appliqué.